Wheelers Rest Tea Garden c.1920 Sidney Packham seated alone, front left of photo. Packham Bros. garage on Bread & Cheese Hill. c.1935 L to R George, Philip, father Sidney and Harold. In the late 1940s Sidney Packham, Philip Packham’s father, owned a small property on the south side of the London Road, opposite Waverley Road. 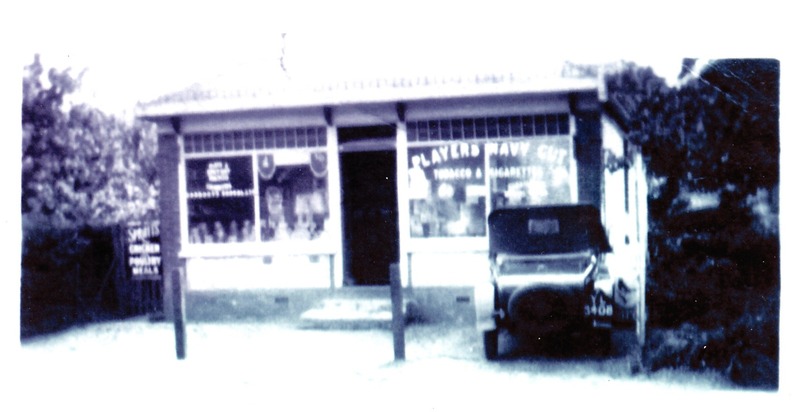 Sidney’s brother, Harold, rented the property from him and set up shop as a ‘car sales showroom’. The available space for displaying vehicles was tiny and if the garage doors were left open for access there was only space to park three cars. Nevertheless, with more and more people using the London Road, the showroom was in the right place for the passing trade. Over the years this small building has been used for various different business ventures. Before the war it housed a business where the rewinding of dynamos was carried out. The onset of WWII saw the premises utilised for the manufacture of sphygmomanometers (blood pressure monitors). It was after the war in the late 1940s that Harold Packham took over with his car sales business. Harold also had his own paraffin delivery round. In the late 1950s a new venture saw a change to an electroplating business. Power Autos, a car repair and maintenance business now occupies the building. In approximately 1922 Philip’s grandfather, Frank Baker Gullett who was a monumental mason by trade, built an imposing property called ‘The Manse’. 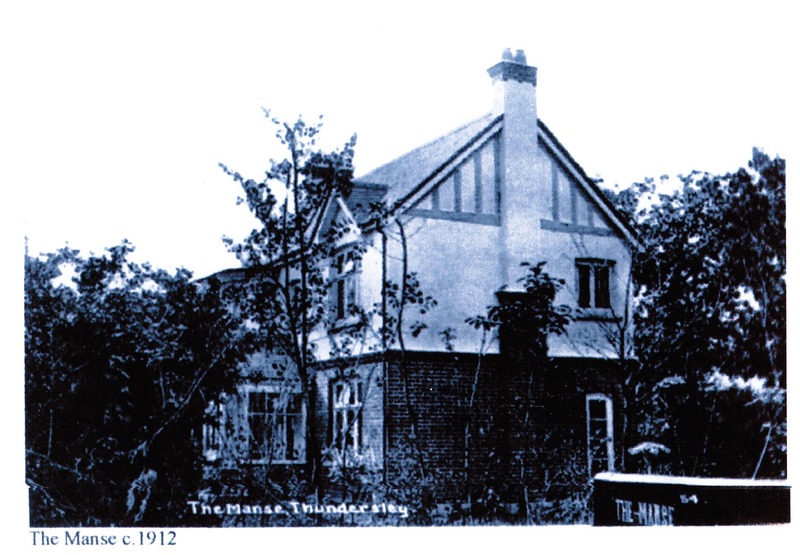 This house stood on the corner of Kenneth Road/London Road and was designed by the Reverend Timms, for his own occupation. 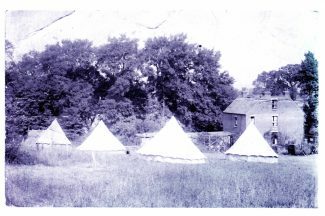 The naming of the property relates to the Latin “mansus” meaning dwelling and refers to a house inhabited by or formerly inhabited by a minister. In later years Wilson Brothers added an extension to the property and it was eventually to become the offices of Benfleet Urban District Council. When new council offices were built further along Kiln Road this building remained as council property but became the social services department. 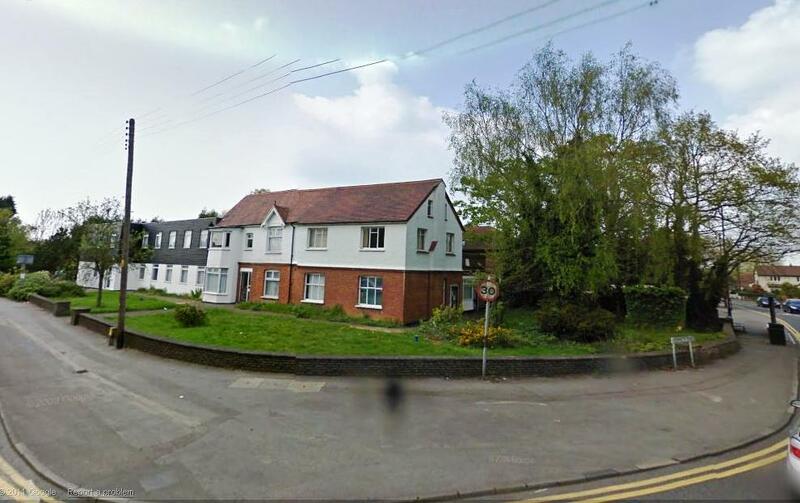 In recent months the property was demolished and currently there is no sign of a new build. 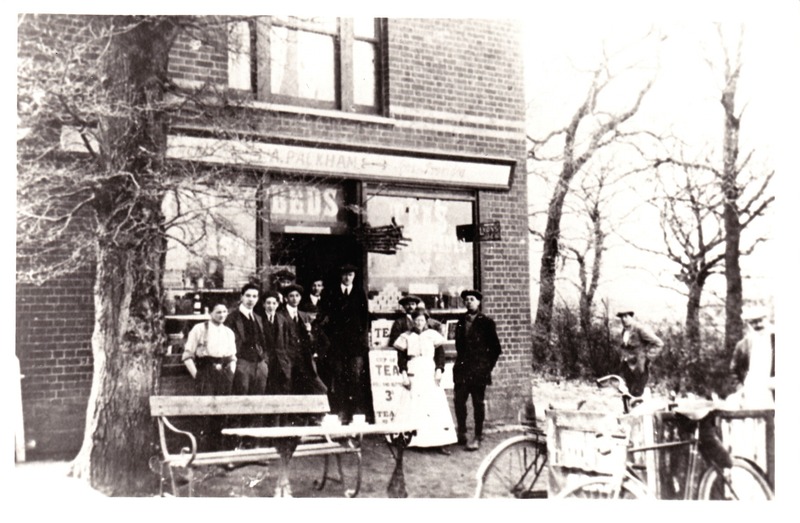 After the turn of the century, Ann Packham, Philip’s grandmother opened Wheelers Rest Tea Rooms on Bread & Cheese Hill. A table was placed outside the front of the building to entice the passengers of passing vehicles to stop and take refreshments. 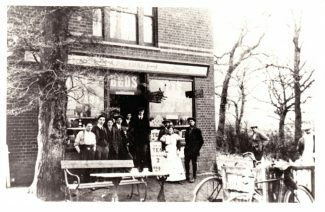 The building stood on the corner of Rhoda Road/London Road and was such a success that eventually Ann went on to offer bed and breakfast facilities, tobacco goods and groceries. The London Road was the main route for eastenders taking a day trip to Southend, providing many customers for such a venture. Just next to the tea rooms, going up the hill, was the adjoining tea garden for Wheelers Rest. 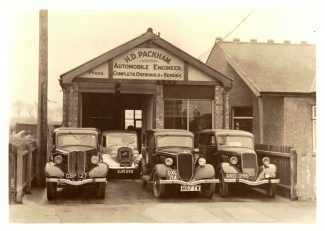 The building that can be seen behind the customers, is Packham’s Garage, the next business up the hill. 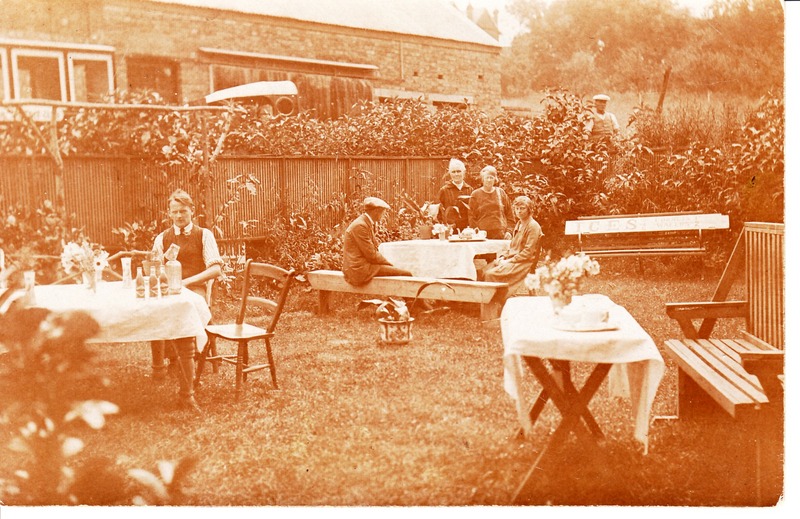 The gentleman seated alone is Sidney Packham, Philip’s father, taking some refreshment. The tables are neatly laid and each have vases of fresh flowers. The signboard on the bench seat at the back of the photo is advertising ices, no doubt very welcome to travellers. Daisy Bungalow stood in Kiln Road. The proprietor was Mrs Dorcas Emma Gullett, wife of Frank Baker Gullett, who were Philip’s grandparents. Mrs Gullett ran a business selling groceries. Also living at this bungalow was Mr & Mrs Gullett’s son, James Antony Gullett, (see also) who was later to join the Royal Navy. James was a Signal Boy on H.M.S. Black Prince during WWI, he died in action, age 17, in 1916. 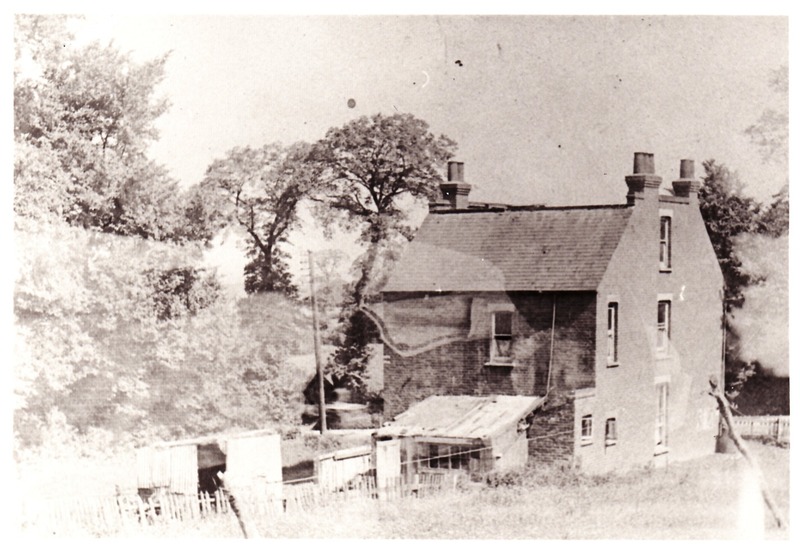 This building is still there today and is located just opposite Wensley Road. Over the years many different trades have been operated from this small shop. It was around 1923 when Sidney Packham began another venture. 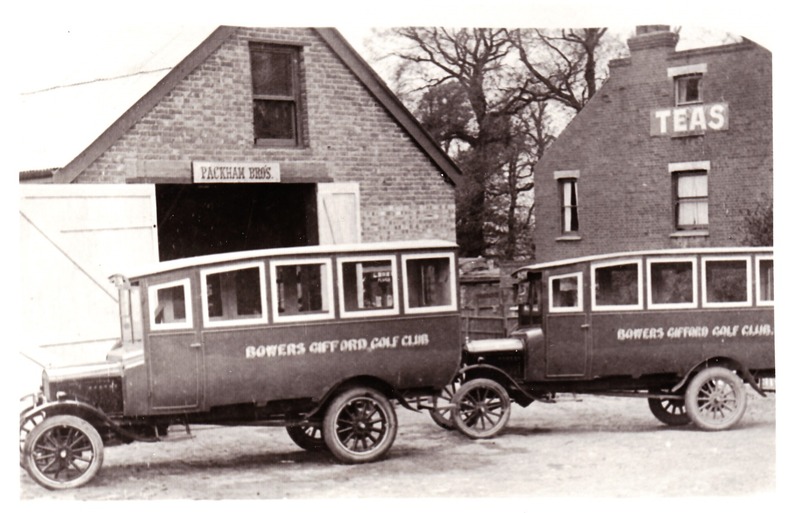 Together with his brother George, he obtained two buses and collected passengers, taking them to and from Benfleet Station and Bowers Gifford Golf Club. 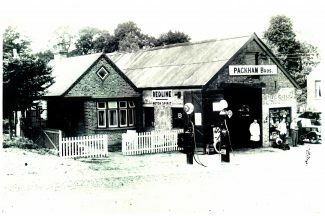 Packham Bros. garage was situated next to Wheelers Rest Tea Rooms and gardens, and sold petrol to the passing motorists. 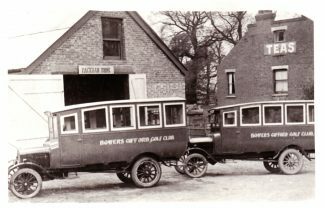 Hopefully, when stopping to fill up their cars, customers would stop and take refreshments at Wheelers Rest Tea Rooms or in the tea gardens. In the last picture, just to the left of the garage you can see the bungalow where Sidney lived. Thanks to Philip and Maureen Packham for the information and pictures in this article. Hello all, I’m new to this site. I’ve lived in Benfleet/Thundersley all of my 46 years and was wondering if anyone remembers Ron’s sweet shop on Kiln Road on the corner of Park Avenue (Parkstone Avenue?) and also Busbies restaurant that is now the Maharaja on Bread and Cheese Hill? It is the same bungalow, my dad cut the front off the garage level with the bungalow to give him more frontage, he then put a flat roof on it. It was done very early 60s. Hi, Studying the photo that claims to be the garage next door to Wheelers, I note that the bay window of the bungalow is suspiciously similar to the one in the vid of the Jet garage at bottom of the hill. 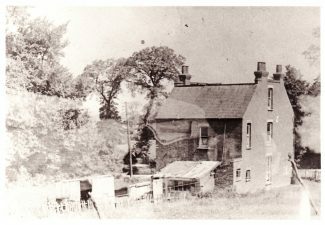 I also know that the building between Glen Road and Hilltop Garage was a chalet and it was demolished in 2011, having lain empty since the 1960’s. I remember all the little grocery shops on Kiln Road, running from the top of Bread and Cheese Hill to Shipwrights Drive. There was Mrs. Atkinson’s, Jordan’s, the Creamery. Then across the road Lester’s sweetshop and Colemans the butchers (which I lived above) and further along a hairdressers shop and a furrier place-then back on the other side a lot further along, a small grocery shop (anyone know its name?) think it was painted white, the Daisy Stores and a post office/grocery shop at bottom of Shipwrights Drive.